Learn your favorite songs without tabs or sheet music. Whether you play for the world or yourself, all musicians need a good ear for harmony, melody, and rhythm. 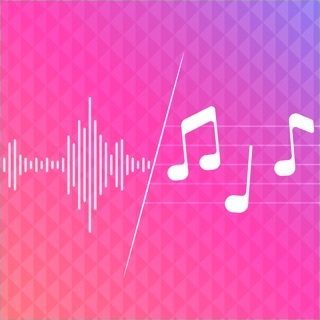 Using the songs in your music collection, Capo guesses the beats, chords, and key of songs to help you break them down to their individual parts. Capo’s unique technology helps you to learn your favorites quickly as you improve your ear along the way. Slow everything down, scrub to hear specific notes, and easily create regions that loop as you learn to play the tricky parts. Use Capo’s tools to isolate specific instruments and even vocals to learn any part of a song. With a couple simple switches, you can focus on the piano or eliminate everything to practice the guitar solo. Capo automatically guesses the beats, chords, and key of songs to get you started. Change, add, or remove the detected chords easily with a few taps as you identify alternate chords and voicings. Capo saves each song as a project, including the loop regions you set, chord changes, and even the playback position. Learn songs at your own pace and revisit them on any device thanks to iCloud sync for your projects. * Learn more about Capo touch Pro below! **NOTE**: Capo works with music you own, but cannot access streaming tracks from Apple Music, Spotify, etc. The free version of Capo touch allows 60 seconds of playback per session and access to all features, including the chords, slowing, our isolation engine, and more. For $49.99 per year, Capo Platinum gives you everything in Capo touch Pro *plus* the ability to unlock all the features in Capo for macOS. All prices shown in this description are in USD. Exact prices may vary by region based on current exchange rates. Payment will be charged to your Apple ID Account at confirmation of purchase. Subscription automatically renews unless it is canceled at least 24 hours before the end of the current period. Your account will be charged for renewal within 24 hours prior to the end of the current period. Subscriptions may be managed and auto-renewal may be turned off from Settings after purchase. This update contains bug fixes and improvements based on user feedback and crash submissions. We love hearing from our customers, so please leave a review on the App Store to share your positive experiences with others, or send us a support email if you have any questions for us. We're listening, and appreciate all your bug reports and feedback! - When you tap on the time position in the Heads-Up Display to switch between bar/beat and time displays, the timeline now also updates to reflect the current position display mode. - When searching for inversions (a.k.a. “slash chords”) such as D/A in the chord chooser, Capo now provides results that include all the inversions available in the chord once you type the “/“ character. - The progress meter that is displayed during the song analysis now updates more smoothly as the calculations are happening, and should better reflect the weight of the individual processing steps. Best app for learning Jazz solos and Irish tunes from recordings. As an amateur musician, I’ve found Capo to be the best App out there for learning Jazz solos and the intricate ornamentation of Irish tunes. It provides the cleanest “slow-down” of any of the apps that I’ve tried. The flexibility of its looping and other playback features makes it much easier to breakdown complicated riffs. It’s ability to sort out the key and chord changes is truly remarkable; while not infallible, this provides a great starting point for piecing together transcriptions for both chord and melody instruments. The interface is clean and very well thought out. This becomes even more obvious the longer you use Capo, since its many capabilities do require some patience to learn/uncover. I could go on and on. The developers are solid and seem committed to a quality product for the long term, as evidenced by the updates that have been deployed since Capo’s inception (check out their newsletter to get a sense of what their team is about). At $10 a YEAR, this app is way worth it! One suggestion. I’d love there to be an option to have the identified/edited chords automatically sound out, while the original recording rolls along in the background - rather than having to tap each and every chord symbol at the appropriate moments. Thank you so much for your thorough review of Capo touch and the feature suggestion. Nice work. Read the user guides though. My Update. This app is one of the pivotal keepers if you play guitar. As for the app itself: a remarkable piece of work, once you get used to its nuances & figure out how this fits with any learning or transcription. The MacOS desktop version to this point, appears to be slightly more capable than the iOS version. I parked my use of it for quite some time. Going back to it, am astounded at its features anew (mostly the desktop). It does much of what an on & off again amateur musician needs in effectively learning songs without resorting to canned guitar tabs & as such, can help in combining mutiple source instruments into single-guitar playable renditions. It might serve professionals in similar fashion. You can save out reduced speed versions of songs fairly easily, in order to burn a song into your head at 1/2 or 3/4 speed if the instrument layers are daunting. At this moment, G6 tuning is not in the drop down. I gather Capo has gone to the subscription model. I pre-date that, happily. I’m not thrilled that the subscription model may be the future of software. This means reassessing what software one uses a lot & which can be triaged away on an annual basis. There has to be a better way to cull chaff. Re-buying essentially at full rev jump as many softwares do seems better, though $10 a year will keep you remembering to use it. Thank you so much for taking the time to write this review of Capo touch.🙏 We really appreciate it. I'm also glad to hear that you came back to the app after some time and were happy with the features! I’m a composer and love to ad lib compositions, knowing someday day i will have to slog thru the process of listening to chord progressions, analyzing, and writing them down. ugh! that 90% of Creativity can be a bit of a deterrent. This app is awesome at picking out subtle jazz chords. and, if its wrong, the corrections are ez. I believe it lacks a Lead Sheet option. If so, that would be great in future versions. Seems strange, all this advanced technology, and you still have to manually list the chords. Otherwise, the app has a lot options for adjustments to bars, speeds, keys, chord names, etc. that make composition and play along a piece of cake. Thanks so much for this review of Capo. Glad to hear you're finding it so useful. We do hope to have a lead sheet option in the future.